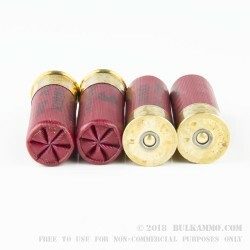 These Power-Shok shells from Federal fire 8 pellets of 000 buck to give you a little extra penetration when hunting midsize game such as deer. Each shell in this box of 5 propels the shot column at 1,325 feet per second, providing good medium range patterns and terminal performance. 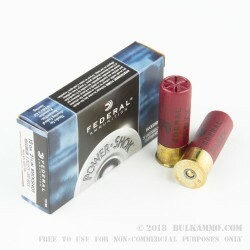 Power-Shok ammunition is loaded in Anoka, Minnesota by Federal Premium Ammunition, the same company that manages ammo production for the US military. 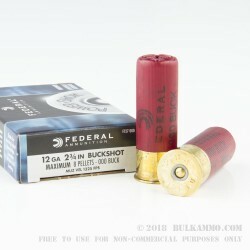 BulkAmmo.com is the place to stock up for a year's worth of hunting and range shooting. 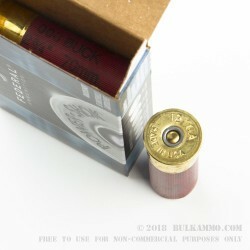 Say goodbye to picking up ammo piecemeal and place your order today!